Have you ever checked your credit score? 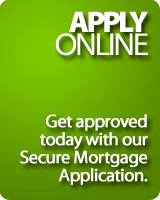 If not, you could be missing out on valuable information that is important whenever you apply for financing. Everyone from your local bank branch to your auto dealer will assess how worthy you are for a loan based on your credit score. So what is a credit score? Your credit score is a snapshot of your financial health at a specific point in time. It indicates the financial risk you represent to lenders and your ability to repay debt. The two credit-reporting agencies in Canada, Equifax and TransUnion, use a scale from 300 to 900 to arrive at your credit score. High scores on this scale are good, indicating lower risk for the lender. Understanding your credit rating can help you when considering financial options. A higher rating greatly increases your chances of being able to borrow money through financial institutions and qualify for financing at a preferred rate. For example, a healthy credit rating is important if you want to obtain new credit, such as refinancing your mortgage or applying for a loan to buy a new car. There are numerous factors influencing your score. Outstanding debt, spending patterns, and payment history are all variables used to determine your score. Although your credit score changes day to day depending on your payment habits, there are ways to raise your rating. Pay your bills promptly. Your credit score may reflect delinquent payments or whether a collection agency had to collect an unpaid bill from you. Establish a payment schedule for all your regular bills to avoid missing a payment deadline. Pay in full. Or at least meet the minimum amount required by a lender or a service provider. Limit your credit. The next time you receive a pre-approved credit card application in the mail, be aware that opening any kind of credit will affect your score. Want to learn more? See the Financial Consumer Agency of Canada for other recommendations. You can find out your credit score at any time from one of the credit-reporting agencies, Equifax or TransUnion, by purchasing a copy online. You can also request to receive a free copy of your credit report (also called a “consumer disclosure”; this does not include your credit score) by mail – see the Equifax and TransUnion sites for more information.